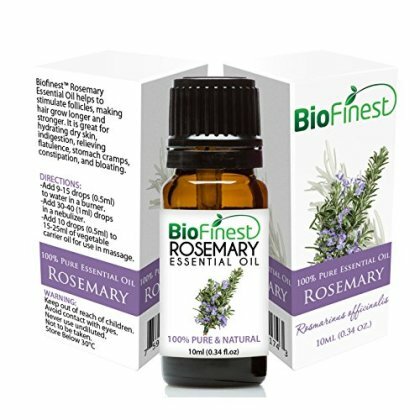 PREMIUM QUALITY Rosemary OiL: 100% Pure, Organic, Natural Rosemary Essential Oil. Non-Toxin, No Additives, No Fillers, Unfiltered and Undiluted. Vegan certified, paraben free and cruelty free. IMPROVE YOUR MOOD AND ENERGY LEVELS - Instead of guessing or taking unhealthy medicines or other toxins, clear your body and mind with the this pure aroma-therapeutic scent. Feel like your happy, energetic and vibrant self again.